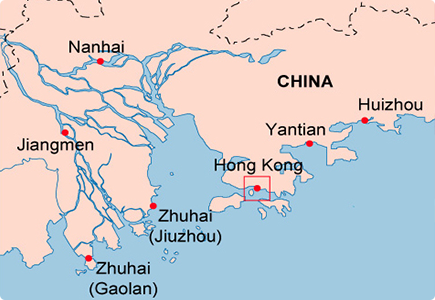 ACT is located at Terminal 8 West in Hong Kong's Kwai Tsing Port. The terminal has two berths with a quay length of 740 metres and a depth alongside of 15.5 metres with a total area of 29 hectares. 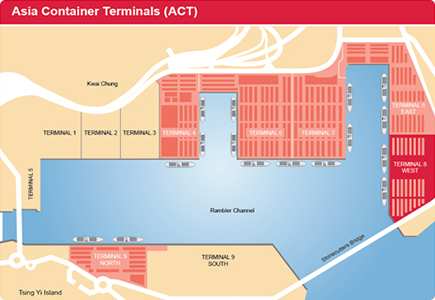 ACT is adjacent to COSCO-HIT and together they have a combined 1,380-metre contiguous berth, enhancing the overall operational flexibility and efficiency of the Trust's existing Kwai Tsing Port facilities, particularly when handling several mega-vessels simultaneously.